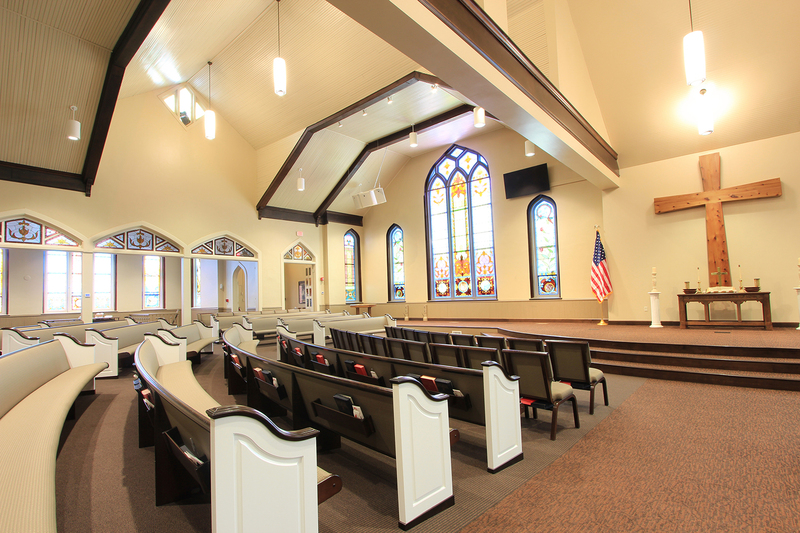 Garmann/Miller designed an addition to the west side of the church that doubled the size of the sanctuary. 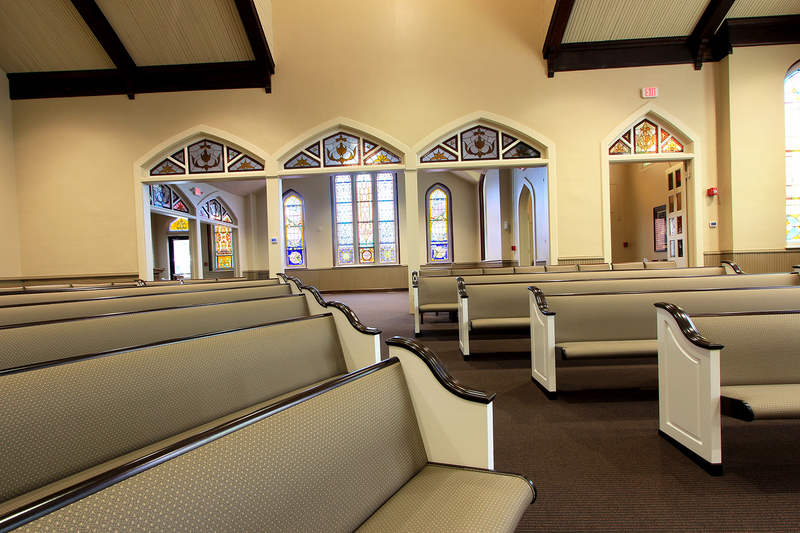 A sloped floor was added with new pews, a sound system and audio visual equipment. 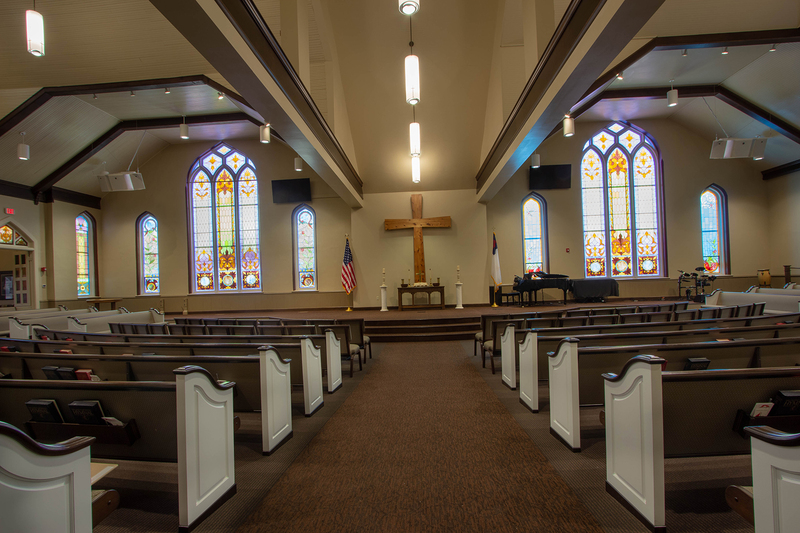 The beautiful stained glass windows were completely restored and some were relocated in the new addition. 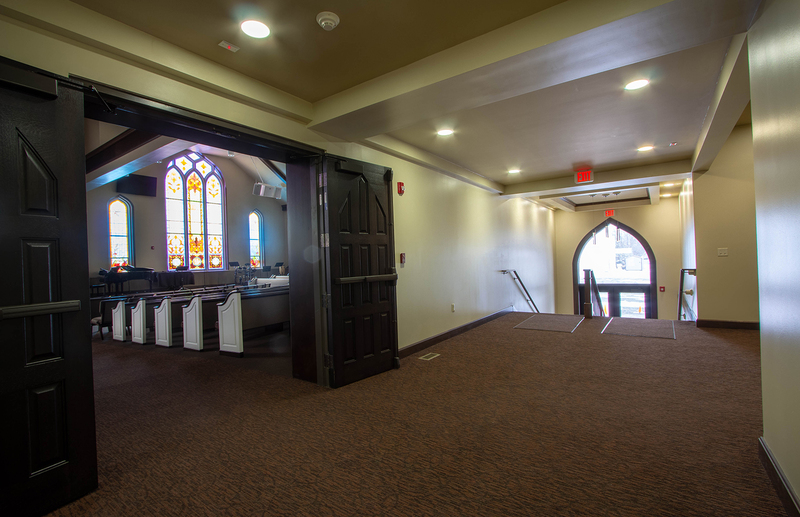 A new gathering hall was designed to connect the sanctuary to the fellowship hall. 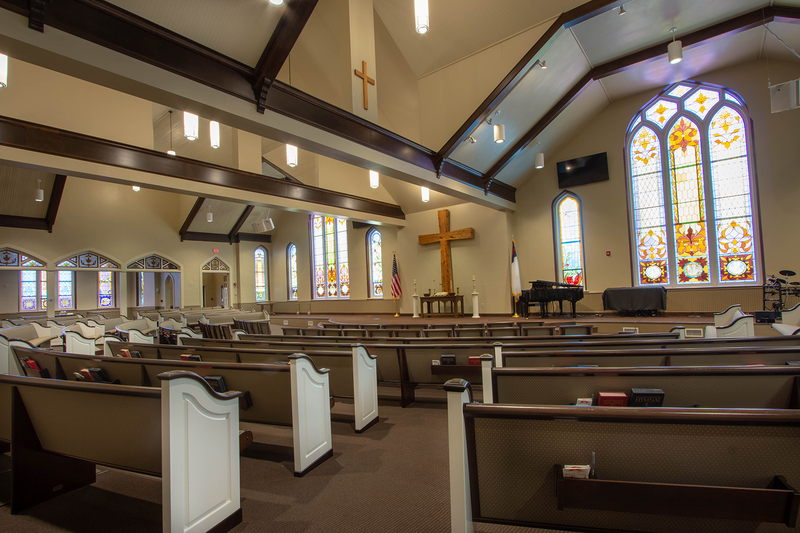 An addition also was designed for the fellowship hall that included six classrooms, new restrooms and a storage area. 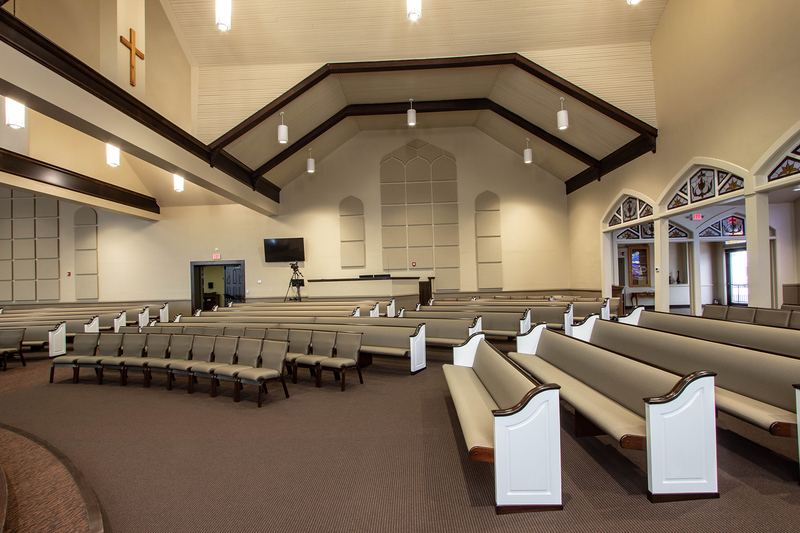 All new flooring, paint and wood trim was included to complete the addition/renovation project. The project was completed in summer 2017.